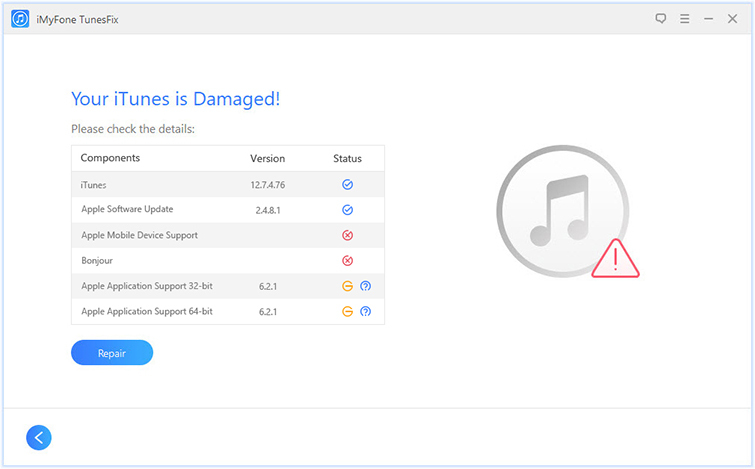 iMyFone TunesFix is a third-party iTunes repairing tool by iMyFone that has been designed to help iOS users fix various iTunes issues. Not only is the software one of the best when it comes to quickly repairing various iTunes issues, it is also equipped with many powerful and advanced features that allow you to do much more e.g. uninstalling iTunes completely with a single click, boosting iTunes’ performance and freeing up disk space via Quick Clean and Deep Clean modes, repairing common iTunes issues quickly via several manual repair modes, and more. Because of all these features, iMyFone TunesFix is a must-have tool for every iOS user. 2. Is TunesFix Worth the Price? 3. Is There Any Coupon Code of TunesFix? 4. How to Use TunesFix? No, but there is a trial version of the software that you can download and install in order to check its performance and utility. Of course, some of the features are locked in the trial version and you will need to purchase the software to unlock them. Yes, because of all the features and benefits mentioned above, it can be concluded that TunesFix is worth the price. Repair 100+ iTunes issues easily via one-click solutions. Automatic scanning of iTunes for issues. This is a useful feature as most of the issues are detected at launch which you can fix via Repair button. Two powerful and advanced iTunes cleaning modes i.e. Quick Clean and Deep Clean. Completely uninstall iTunes and also remove traces of uninstallation from your computer with a single click via Full Uninstall mode. User-friendly software interface. No known bugs. Support Service: By purchasing TunesFix, not only will you enjoy all the advantages that the software has to offer, you will also have access to reliable support service from iMyFone team. Lifetime Updates: Once you have purchased TunesFix, you can expect to get all the updates for free. iMyFone frequently releases updates and adds new features to their products so this is a great advantage. 100% Safer Than Its Free Alternatives: TunesFix is 100% safe to use and its price is also very reasonable. So, there is no reason to look for a free alternative tool to fix your iTunes issues. Yes, you can take advantage of a coupon code to get a discount when purchasing iMyFone TunesFix. While the price of TunesFix is already very reasonable, you still have an option to get a discount when purchasing the software and buy it at the best price. You will simply need to use the coupon code listed below when purchasing the product and you will get 30% off. The process of using a coupon code when purchasing an iMyFone product is very easy so there is no reason not to take advantage of it. Using a coupon code when purchasing any iMyFone product is quite easy. It is a step by step process and shouldn’t take more than a couple of minutes to complete. Step 1: Visit http://imyfone.com and from the list of products, choose TunesFix. Step 2: Click on the Buy Now button. Step 3: Once the order page opens, find and use the option called ‘Check to enter coupon code’. Step 4: Now paste the coupon code (F9X-CCN-Y18) in the textbox and click the Apply button. Step 5: Proceed to input all the required details. At the end, review and verify all your information and proceed to order. That’s it! While there are many modes of iMyFone TunesFix, the process to use them is pretty much the same. 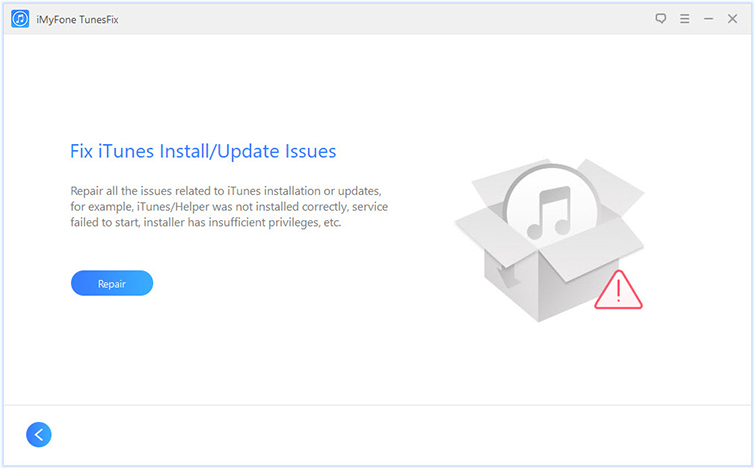 As an example, following are the steps to repair iTunes if you are encountering iTunes install/update issues. Step 1: Launch TunesFix. Wait for the automatic scan to finish. If an issue is detected, fix it via the Repair button. Step 2: Now from the home interface of TunesFix, click on Fix iTunes Install/Update Issues mode. Step 3: Click on the Repair button displayed on the next screen. iMyFone TunesFix will begin the repairing process. iTunes issue no matter how minor it is, can be really annoying. Fortunately, there are ways to fix various iTunes problems and one of the best ways to fix them is to use iMyFone TunesFix. This powerful iTunes repairing tool can help you solve any kind of iTunes issue quickly and conveniently. While the software isn’t free, it is reasonably priced. Furthermore, you can also get a discount when purchasing TunesFix by using a valid coupon code. Using the software is very easy and all the features and benefits it has to offer make iMyFone TunesFix worth the price.